"Customers are evolving as they are now exposed to the world of digitalization, where infor-mation is readily available. This helps them make informed decisions when purchasing insurance cover. Therefore, timely claim settlement is a very important function within an insurer. It is not only about managing claims, but also an important mechanism for earning customer loyalty. Today`s clients expect a 24hr-turnaround time for claims settlement and they expect claims handlers to share information and recognise customer`s identity and history. They do not want to be asked the same questions multiple times or call multiple phone numbers or visit multiple sites to get their queries answered. This means that insurers that are willing to invest in technology are going to have an unfair advantage over those that are still using traditional ways of managing claims," says Nelson Matheus, Claims Team Leader at Namibia National Reinsurance (NamibRE). "Say, for instance, a client is involved in a car accident. Sensors in the client`s vehicle notify an insurance mobile app of a sudden deceleration, which then asks if the client was indeed involved in an accident, and if the client answers "yes", the app asks whether the client requires emergency services or towing assistance. If so, the app then notifies the necessary services closest to the client. The claim is automatically registered on the insurance administration platform, which is then auto-segmented using the client`s policy information and claims history. The platform assigns an assessor and schedules an appointment with the towing company to inspect the vehicle," says Ben du Preez, Group Chief Information Officer and Solutions Managing Director at Genasys Technologies. "Claims is a priority when talking about the transformation of the insurance industry. For the client, the most critical part of their relationship with their insurer is at the point of making a claim. The number one reason why clients buy insurance cover is in case of a claim, because the cover that clients buy, is a promise of assistance if they get a financial loss," says Matheus. "The quality of claims resolution is an essential component of the end to end customer journey. Whether a customer is long term loyal or a recent acquisition, any insurer paying out on a claim needs to retain that policyholder to recoup the cost. Ensuring every aspect of the claims resolution process is smooth, efficient and well communicated is, therefore, essential," continues Matheus. The claims process is where insurers can build or destroy relationships with clients. It is simple: efficient claims processes make for happy customers and successful insurers. But insurers need to realise the current status quo in the insurance industry is under threat from a changing client base and technological advances, warns Du Preez. "Generally, when a claim settlement is delayed, or rejected without proper grounds, it costs insurers more money, because it may result in a litigation process, which incurs extra cost such as legal fees and penalties," continues Matheus. The decision maker of tomorrow is the kid on the street with his face buried in a mobile device, chatting to his friend next to him via instant messaging. "Their expectations of interactions with companies differ wildly from what is considered normal today. Insurers of the future will have to embrace this new culture by catering to all sectors in the market," says Du Preez. Du Preez explains that the integration to multiple data sources can simplify the quoting process and ask fewer questions of the customer. "ID number, social media handles or car registration numbers are all examples of a single data point, which can be used to extract customer information without explicitly asking the questions. These new technologies open up new ways of engaging with your clients that were never available before," he says. Du Preez explains that modern technology platforms enable insurers and brokers to automate various claims processes and fasttrack claims that need immediate attention. 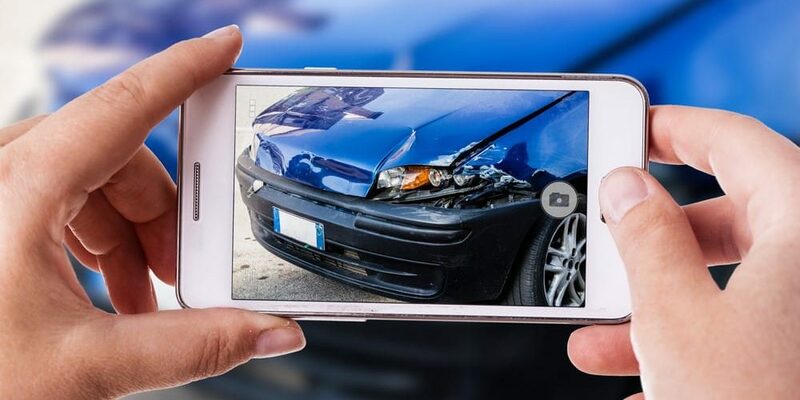 "In South Africa, we have a way to go before a claim is processed with the single tap of a button, but insurers need to employ the technology currently at hand for maximum efficiency. It is what their customers want. Some clients may always prefer a human at the other end of the line while others want to use the internet and mobile apps to register a claim, but they all want the same outcome. Success in future lies with the insurer who can cater to each of these market segments," emphasises Du Preez. Keeping customers up to date via SMS, email, client portals, or a mobile apps. "Technologically advanced insurers like Lemonade use artificial intelligence in the form of chatbots and machine learning to provide insurance policies and handle claims, replacing brokers and paperwork traditionally associated with the process," emphasizes Matheus. "Insurers need to have a fully automated back office process as customers benefit significantly from faster claims processing, for instance, through automated verification of car repair estimates and invoices as well as automatic reimbursements as soon as the repair invoice has been verified," says Matheus. "As insurers strive to become more customer centric and win over today`s more demanding customers, they have to mainly focus on their claims processes as an important part of their overall policyholder`s experience. Customer centricity has become synonymous with competitive advantage and market leadership. In fact, it is where the value of transformation initiatives can be maximised and where insurers can have access to a new generation of highly empowered digitally engaged customers," concluded Matheus.